The two took the WWE Universe by storm, trading various insults on television and online - creating a compelling feud that had legions of fans rallying behind "The Man" Becky Lynch. As many have expected, this year's WrestleMania main event will feature the Raw Women's Championship triple threat match featuring Ronda Rousey, Becky Lynch, and Charlotte Flair. Becky Lynch is the 2019 Women's Royal Rumble victor, a two-time SmackDown Women's Champion and was named Wrestler of the Year by both Sports Illustrated and CBS Sports in 2018. Women got their own PPV a year ago in Evolution, and have seen their matches serve as the main event on RAW, SmackDown and several PPV in recent months. 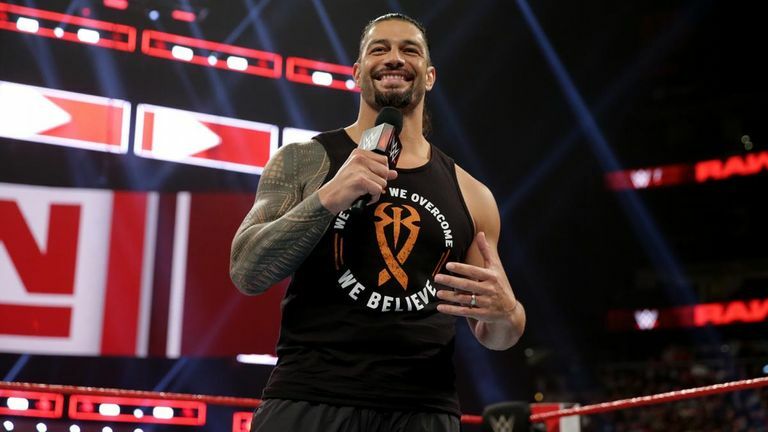 Reigns has been involved in the main event of the last four WrestleManias. Rousey's time with WWE has given the promotion a huge media push, while Becky Lynch has grown into the company's most popular superstar. Her performance at the Royal Rumble and over the past few months since have been the icing on the cake, and things can only get better for her in 2019. Rousey is the current Raw Women's Champion, Olympic medalist, the first female UFC Champion and the first woman to be inducted into the UFC Hall of Fame. The WWE has made an abundance of booking mistakes this past year, but have built this one up with real suspense.